MIAMI BEACH, FLA. – For anyone harboring an antiquarian’s passion for Florida’s rich vein of Art Deco, where is the starting point? A period approach could be viewing The Cocoanuts, a 1929 early Marx Brothers movie, filled with cloche hats and Irving Berlin tunes, that satirized the state’s building boom of that decade. 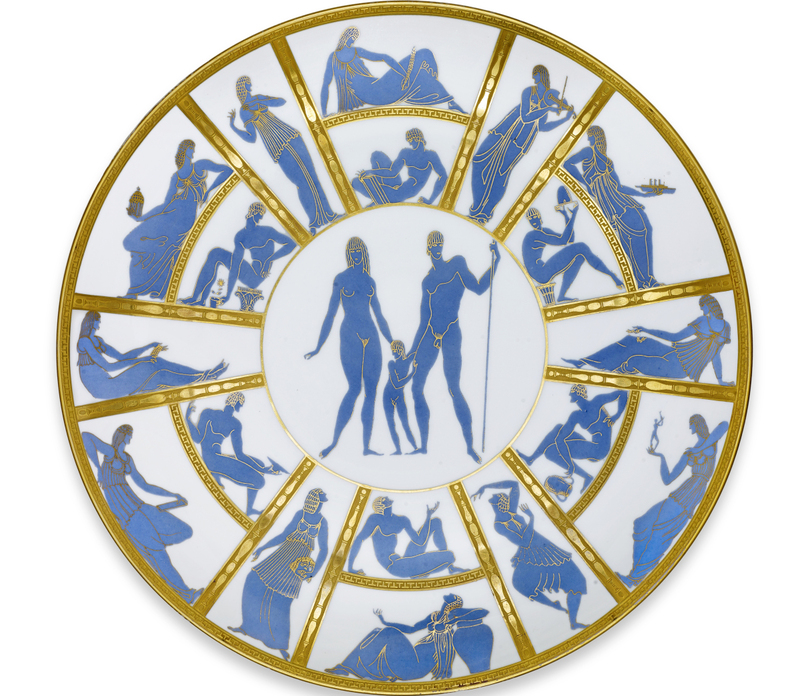 But the best bet in this New Year is a visit to “Deco: Luxury to Mass Market,” an ongoing exhibition at the Wolfsonian museum in Miami Beach that draws on the institution’s extraordinarily deep permanent collection. 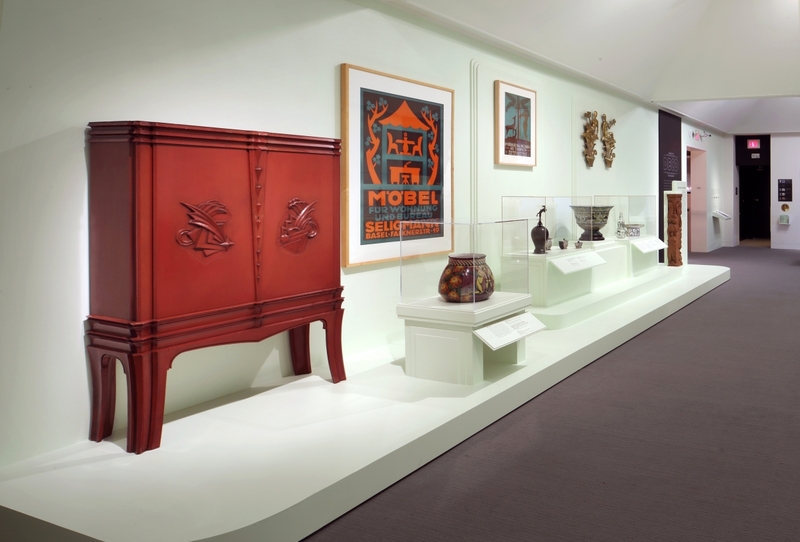 Featuring more than 100 objects, the thoughtfully assembled displays illustrate how the style broke out of the drawing rooms of the wealthy to become a force in public space design around the globe. Strengths of the collection include specific topics within that time period from British Arts and Crafts and Dutch Nieuwe Kunst to modern transportation and political propaganda. 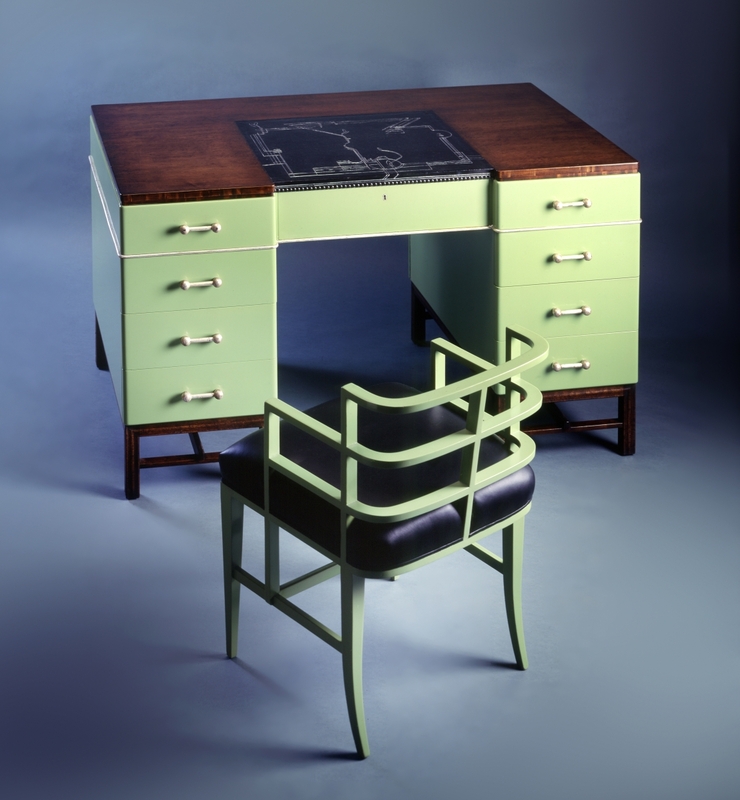 The Deco show also draws heavily from the museum’s depth in American Industrial Design and World’s Fair material. Wolfson formally organized the museum in 1986 to preserve the collection, which now contains more than 180,000 objects. In 1992, the collection moved into a 1927 Mediterranean Revival building on Washington Avenue, which had been renovated into a 56,000-square-foot state-of-the-art facility for exhibition, storage and research. 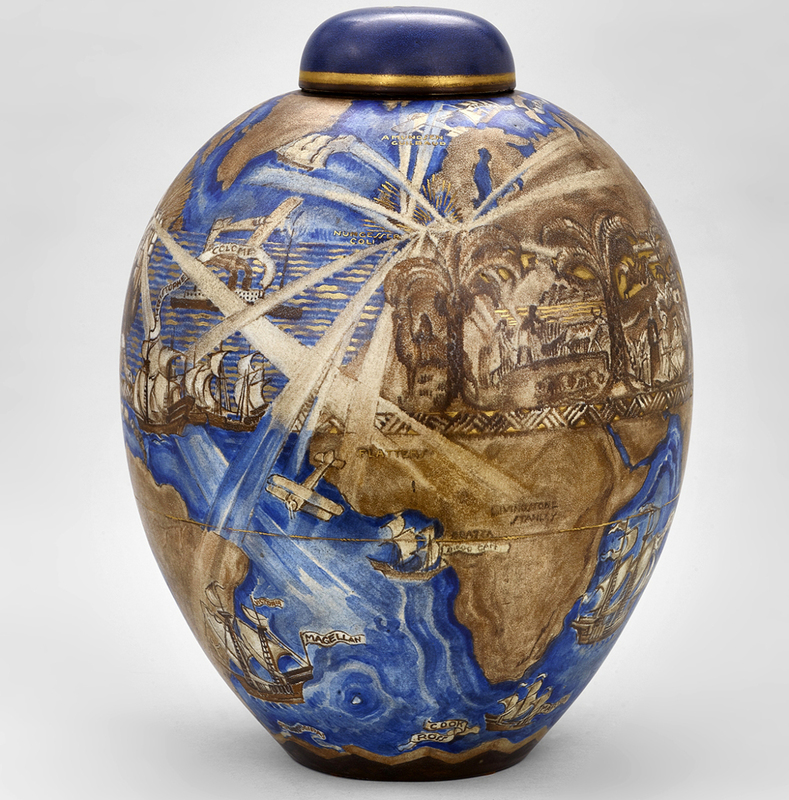 In 1997, Wolfson donated the collection and building to the state, and it became a department of Florida International University, but – like all dedicated collectors – he has remained a driving force on the scene. And travelers abroad can view more of the collection in Genoa, Italy, at the Wolfsoniana; details about that at www.wolfsoniana.it. 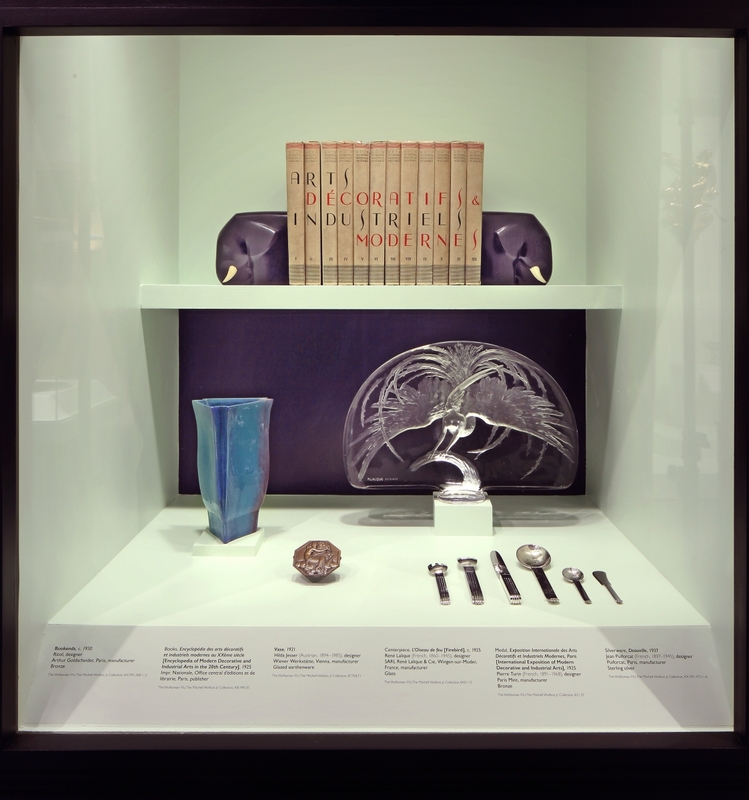 As indicated by the “Mass Market” designation in the exhibition title, the sophisticated style that had emerged from France was eventually applied widely, so that the forms of everyday objects kept up with the fashion in vogue. 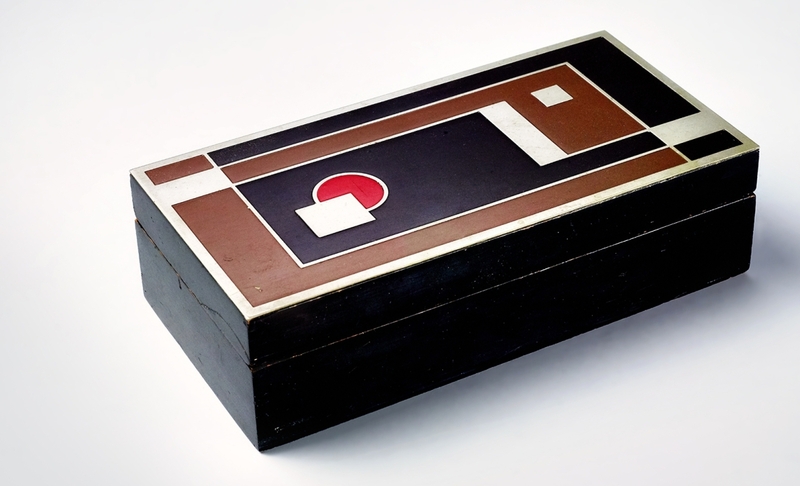 Walter Dorwin Teague (1883-1960) designed a brilliantly geometric camera case, 1930-1931, for Eastman Kodak in Rochester, N.Y., and Raymond Loewy (1893-1986) later designed a sleek electric shaver for Schick. 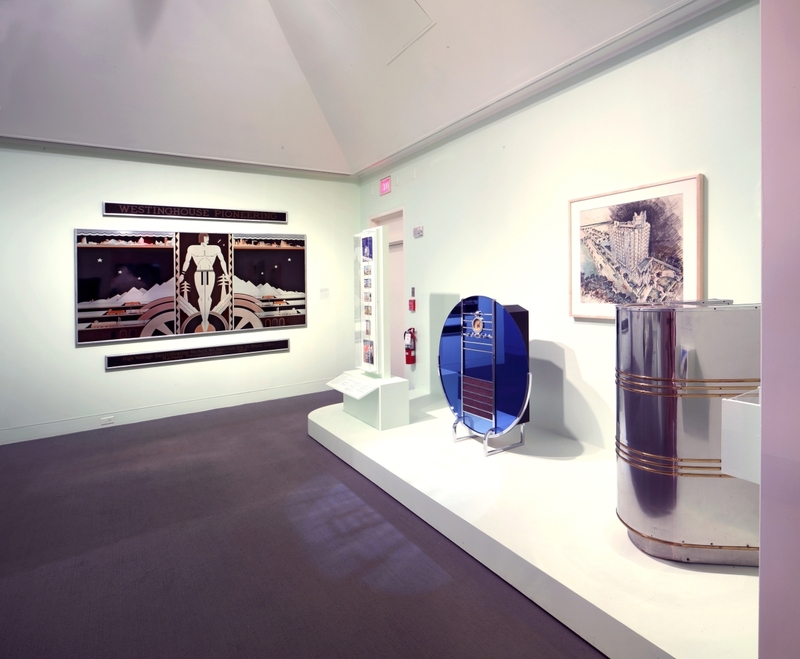 Resnikoff pointed to a standout example on view: “The Nocturne radio is really an icon of American Art Deco design; we’re very lucky to have it in our collection. It dates to 1935 and was designed by Walter Dorwin Teague. It retailed at around $300 in that era, so it was quite expensive. They were often found in public spaces, like hotel lobbies, and that is where ours came from. It was in the Park Central Hotel here in Miami Beach.” The Nocturne was Model 1186 manufactured by the Sparton Corporation of Jackson, Mich. 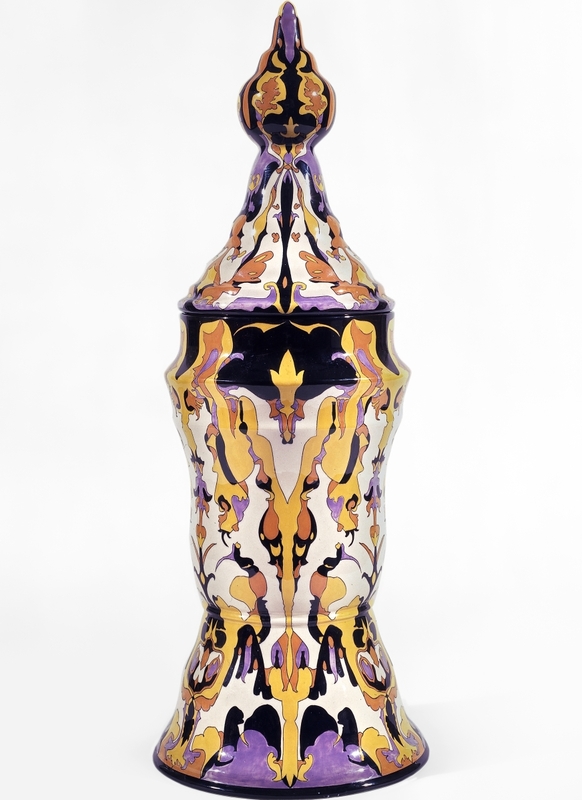 Examples still bring substantial prices at auction; one sold in 2015 at Wright in Chicago for $149,000 ($70/90,000). The Wolfsonian is located in the heart of the city’s South Beach neighborhood, surrounded by some of city’s best Art Deco public architecture and not far from the Villa Casa Casuarina on Ocean Drive, once the mansion of couture designer Gianni Versace. For a quick visual, watch the opening credits of The Birdcage, the 1996 comedy with Robin Williams and Nathan Lane; the camera flies in over the water toward a line of vividly illuminated beachfront hotels in cubic Deco design. 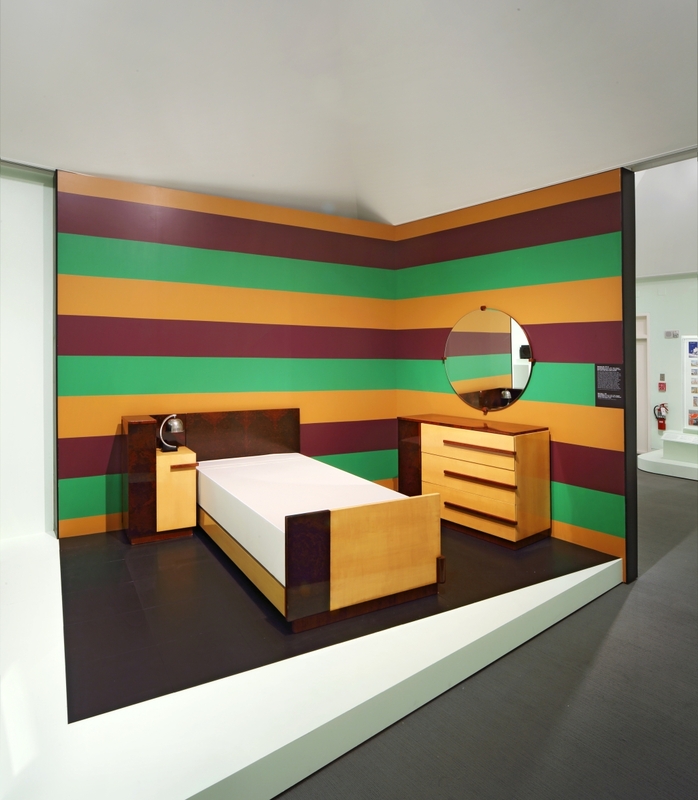 Not surprisingly, the exhibition incorporates a “Miami Beach Deco Walk” outlined in a brochure which focuses on the architecture of seven hotels, most on nearby Collins Avenue, and discusses how their decorative details relate to Art Deco style. 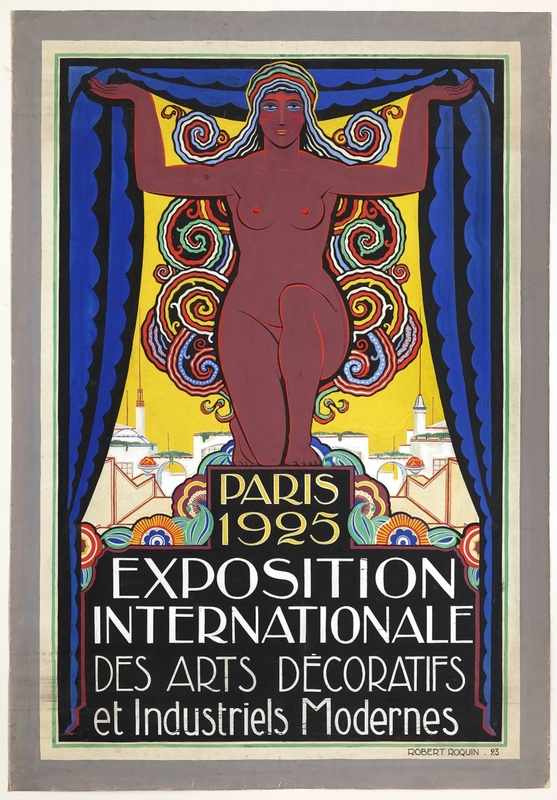 “Deco: Luxury to Mass Market” is an ongoing exhibition. The Wolfsonian FIU is at 1001 Washington Avenue. 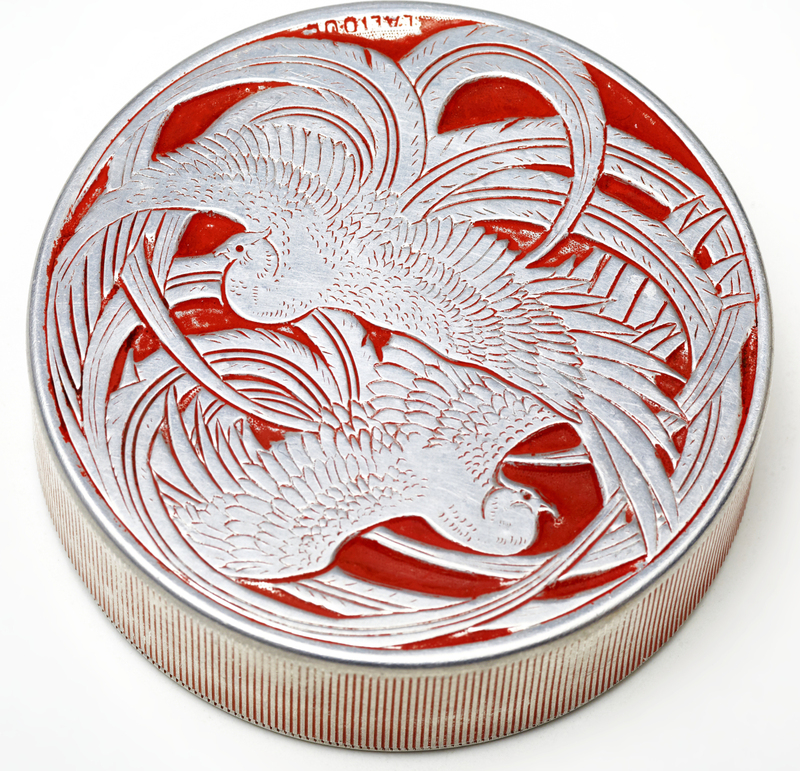 For additional information, www.wolfsonian.org or 305-531-1001.